January 4, 2019 – Rock the New Year! – Enjoy rock music, rock hunting, and rock climbing. Non-profits light up the park with information about their organizations, volunteer opportunities, and fun activities. 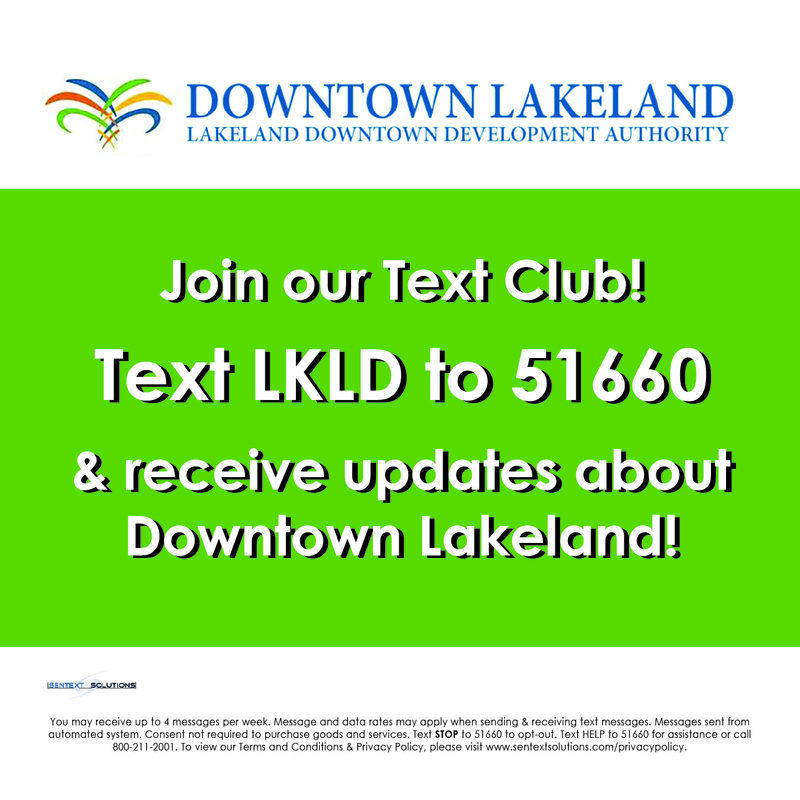 February 1, 2019 – Get Healthy, Lakeland! – In honor of American Heart Month, enjoy goodies, giveaways, deals, and activities from local health-related organizations. April 5, 2019 – Taste of Lakeland – Enjoy delicious fare from savory and sweet food vendors in Munn Park. December 6, 2019 – Hometown Holiday, sponsored by Burnetti, P.A. If you are interested in becoming a First Friday exhibitor, click here. If you are interested in becoming a Makers Market vendor, click here. If you would like to register for the Classy Car Show, click here. May 3rd First Friday: “It Starts Here,” Celebrating Public Works!